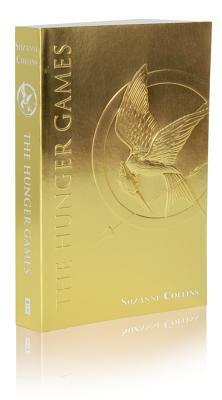 The Hunger Games--a New York Times bestseller and major motion picture--is now available in a gorgeous deluxe foil edition. Sixteen-year-old Katniss Everdeen regards it as a death sentence when she steps forward to take her sister's place in the Games. But Katniss has been close to dead before--and survival, for her, is second nature. Without really meaning to, she becomes a contender. But if she is to win, she will have to start making choices that weigh survival against humanity and life against love. "A violent, jarring, speed-rap of a novel that generates nearly constant suspense. . . . I couldn't stop reading." "I was so obsessed with this book. . . . The Hunger Games is amazing." "Brilliantly plotted and perfectly paced."